We're in the Bay Area in California. We took a quick shakedown trip last week to test everything. First long trip hasn't scheduled yet...but soon. 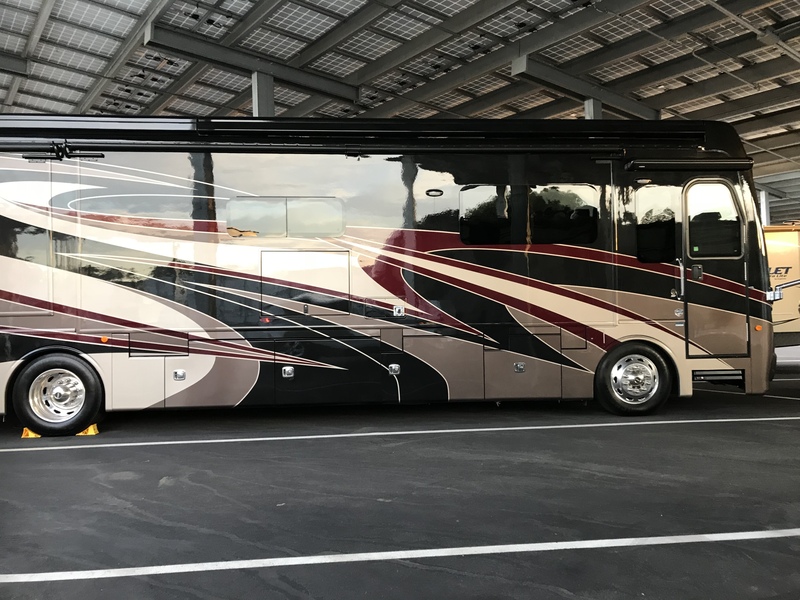 We recently purchased a 2018 Fleetwood Discovery LXE 39F. We recently sold our 2011 Tiffin Breeze 32. Although we enjoyed the coach it did have a few limitations. For 2 people there's enough room to carry everything you'll need. Water capacity was good but the holding tanks require constant monitoring even when at a location with full hook-ups. Our rig didn't have a bedroom slide and this made it difficult to move around the bed. Coordination and planning are required to get dressed or undressed for bed. Other than that it was a solid performer and with routine maintenance we never experienced any major problems. Now I would give the Navistar engine a C-. On straight and level roads it accelerates quickly and sips fuel to the tune of 8 - 10mpg. On the Grapevine or similar grade you will be extremely frustrated with the lack of power. Also it doesn't have an exhaust brake so constant downshifting to maintain downhill speed. Overall it was a nice starter rig for us but I would only recommend it to someone who's small statured if you want to stay happily married.